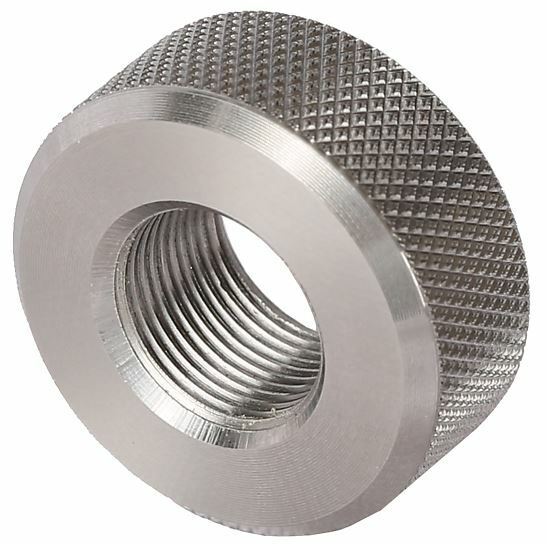 This thread protector is designed to fit onto 1/2X28 TPI. It is CNC-machined from 416 stainless steel. The protector is .450" long with a .920" diameter.